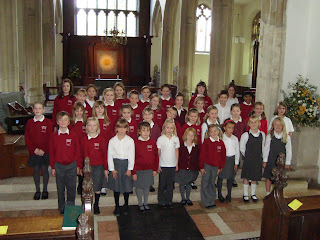 A HUGE well done to all the children who sang in the Britten-Pears concert tonight. Mrs Mawson and I are extremely proud of you all and thought you sang wonderfully. The two year 6 classes finished off their Autumn Watch topic with a Nature Walk down the lane near the school and around the Mere (near Framlingham Castle). We were looking mainly at signs of germination on the farmers fields and at seed dispersal from the trees. We also saw some amazing fungus on dead trees. The Framlingham allottments are still looking very healthy. There is a display by the school hall of these great little clay houses. They look a bit like many of the houses in and around Framlingham. Kieren from Class DB brought in a pumpkin which he has helped to grow. With some of his friends he learnt how to scoop out the inside and design a halloween face. If you want to know more about halloween (all hallows eve) click on the halloween.com logo below. Our school ECO COUNCIL have just been given 30 free trees by the Woodland Trust. They will dliver the trees in March so that we can plant them on our school field. Click on the Woodland Trust picture to go to their website. If you would like30 FREE TREES for another school then click on the picture below to go to the Woodland Trust Schools site and click on the Free Trees link. 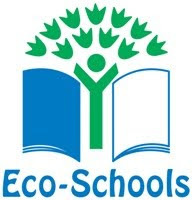 Have a look at our new Eco Website. Christmas Shoe Boxes need to be in just after half term. Click HERE or on the logo to go to the website and view the video. Last Friday afternoon the annual Area football tournament took place in Fressingfield. 14 teams where there from the 10 largest Primary Schools in the area. 4 schools including ours had B teams. The teams were split into 2 groups of 7. Our A team won all 6 of their group matches. Our B Team were unbeaten in their group games with 3 draws and 3 wins. The A team progressed to the semi finals but the B team just missed out on goal difference. Framlingham A Team won their semi final v Debenham. The final v Stonham finished as a 0-0 draw. Despite extra time neither team to score past the two excellent goalkeepers. Rather than take penalties the 2 teams agreed to share the trophy. Both of our teams contained some year 5 players so there is the makings of a strong side again next year. Our teams can now move on to the area cup and league with confidence over the next few months. If children wish to engage in “trick or treat” please can parents suggest they call only on their family or known friends and members of the community because elderly, or people living alone, can feel vulnerable to unwanted callers in the evening. Half term commences on Monday 26 October, the children return on Monday 2 November. On Tuesday 3 November there will be a production of ‘A Christmas Carol’ by Working Space Theatre. This will take place in the morning; however Nursery and Reception will not be attending. This production is being financed by the school. SCC Catering are planning a special Bonfire Lunch on Thursday 5 November. Look out for the menus in the classrooms nearer the time. On Friday 6 November photos of all individual children and family groups will be taken. The children will be photographed in their school sweatshirts. If you wish to bring pre-school children into school to join your family group photo, please come to the hall at 8.30am. Please return the filled shoe boxes for Samaritans Purse by Friday 6 November. Thank you. Please find with this letter an information booklet from the National Schools Partnership to help pupils and their families in tackling the problem of head lice. The inclusion of details of extra-curricular, local and out-of-School activities (which are not run by us) in our letters in no way implies that they are supported or endorsed by Framlingham Sir Robert Hitcham’s CEVAP School, its Governors or any member of Staff. Parents are advised to make the appropriate enquiries regarding supervision, insurance and other matters. 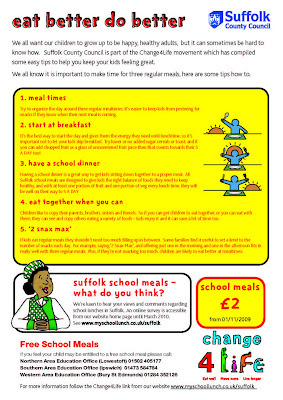 Please note that school meals for pupils will be increased by 10p from Monday 2 November 2009. Please make all lunch money cheques payable to ‘Suffolk County Council’. Here are the song words for you to learn forwards, backwards and upside-down by Friday. Then she’ll be true love of mine. And great grandfather won great grandmother with words more or less like this. And you’ll be my queen. There will be a change to the menu on Wednesday 21 October, there will be Beef Bolognaise, Cheese & Potato Pie for main, with Strawberry Whip and Shortbread or Bakewell Tart for dessert. 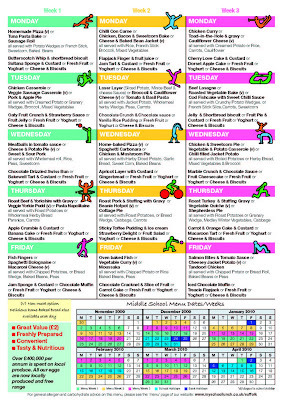 Please note we will shortly be sending out copies of the new menu for the next 3 half terms. As in previous years we are again supporting Samaritan’s Purse. Each shoe box should be filled with items as specified in the leaflet and should be clearly labelled. PLEASE NOTE THAT DUE TO CUSTOMS REGULATIONS there are items that cannot be included – please read the leaflet. We cannot send the boxes if there is no £2.50 to cover the transport costs. So please only send in shoeboxes with the accompanying £2.50. Although the leaflet mentions the 1 to 18 November as the campaign dates, please return the filled shoe boxes by FRIDAY 6 NOVEMBER as they are to be collected then. Extra leaflets are available from the school office. Thank you. Last Friday we visited the High School (Thomas Mills) for an activity day. First of all we went into the science department and Mr G told us about land speed records and that we would be building our own cars. We went with Mrs Hart to one of the classrooms to try to convince other teams to sponsor us. Our team was called 'Pink Lightening' - Ted's idea! Our slogan was 'There can only be one winner'. Each team had £240 to give to other teams. Our team won the most money. After this session we had lunch. Then we started making our cars. We had a block of styrofoam with a block of wood. First we drew an outline of the car. Using a clamp and a copping saw we cut out the car shape. Next we had to put the wheels onto the block of wood. We decorated our cars and then there were ready to be tested. We rolled our car down a ramp and saw how far they went. We could work out their speed. We also got to see the cars in a wind tunnel with smoke passing over them. This showed how streamlined the design was. Our day at the high school was great fun. Over 90 children had lunch with their Grandma on Wednesday or Thursday this week. It made for a very civilised atmosphere in the school hall. There were several Grandmothers who were former pupils of Sir Robert Hitcham's so it was especially nice to see them having lunch in school. I wonder what school dinners used to be like? Mr Byer has started another group of children on a 6 week cycling proficiency course. They start on the school field, do some theory sessions and eventually go onto the roads. The children also get 2 safe cycling handbooks and a workbook to follow.